You can also read the full press release about the 1000 magic Book Promotion HERE. 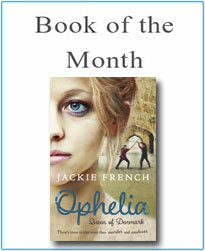 Download the new Jackie French catalogue! I have uploaded my original vision for the book to the site for you to read HERE. Jackie French is the Senior Australian of the Year 2015! She is also an historian, ecologist, dyslexic, and a passionate worker for literacy, the right of all children to be able to read, and the power of books. 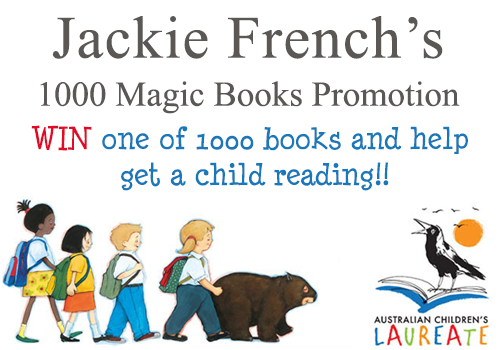 Jackie's writing career spans 25 years, 148 wombats, over 140 books, 36 languages, 3,721 bush rats, and over 60 awards in Australia and overseas. Jackie wrote her first children's book `Rainstones' in a desperate attempt to earn $106.40 to register her car, while living in a shed with a wallaby called Fred, a black snake called Gladys and a wombat called Smudge. The editor at HarperCollins said it was the messiest, worst spelt manuscript they'd ever received. The mess was because Smudge the wombat left his droppings on the typewriter every night. The spelling was because Jackie is dyslexic. Jackie recommends all beginning writers misspell their first book so it stands out of the pile. 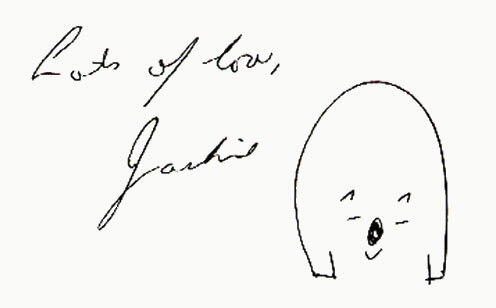 Jackie is one of the few writers to win both literary and children's choice awards. Hitler's Daughter spent a decade on most of Australia’s kid’s choice award shortlists; among other awards it won the 2000 CBC Book of the Year for Younger Readers, the UK Wow! Award, a Semi Grand Prix Award in Japan and has been listed as a "blue ribbon' book in the USA. Monkey Baa’s production of Jackie French’s Hitler’s Daughter: the play won both the Helpmann and Drover’s Awards and toured the USA in 2013. Pete the Sheep; the musical, will open in March 2014. Diary of a Wombat, created with Bruce Whatley, is also one of Australia’s best-loved picture books. It has been on bestseller lists across the world, with a still increasing number of awards and translations. Jackie’s vast body of work contains both fictional and non fictional accounts of the last 60,000 years of Australian history, with books like Nanberry: black brother white; The Girl from Snowy River, Tom Appleby: Convict Boy; The Night They Stormed Eureka; A Day to Remember created with Mark Wilson; and Flood, created with Bruce Whatley. Her non-fiction also includes an eight volume history of Australia for young people (The Dinkum History series). Let the Land Speak: how our land created a nation (October 2013) is a work of history for adults, showing how the land itself contributed to iconic events from the first human foot on Australian soil to Eureka, Federation, Gallipoli, and how the land will continue to shape our future. Jackie is also the ACT Children’s Week Ambassador, 2011 Federal Literacy Ambassador, patron of Books for Kids, YESS, and joint patron of Monkey Baa Theatre for Young People with Susanne Gervais and Morris Gleitzman. She is also a director of The Wombat Foundation that raises funds for research into the preservation of the endangered northern hairy nosed wombat. Jackie is a passionate advocate of help for children with learning difficulties as well as the conservation of wildlife and our planet. 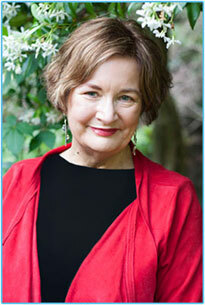 For nearly 40 years she has studied the species in the bush where she lives, with publications ranging from scientific articles on wombat ecology or endangered species to her ground breaking books on theories and practices for pest and weed ecology and more popular books on subjects like backyard self sufficiency. Jackie and her husband Bryan live in the Araluen valley, a deep valley on the edge of the Deua wilderness area. Most of their property is now a Conservation Refuge for the many rare and endangered species of the area. They live in a home made stone house, with a waterwheel Bryan made as well as solar panels to power their house, with an experimental orchard of over 800 fruit trees and more than 272 kinds of fruit that show how farming can coexist with wildlife. 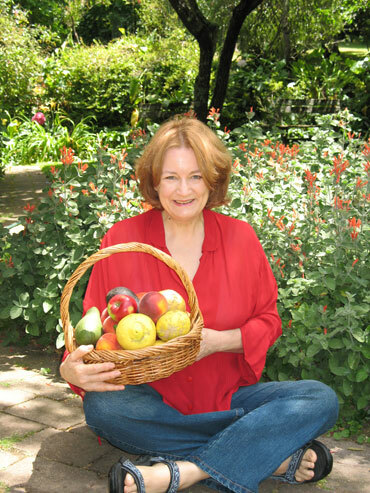 Jackie writes columns for the Canberra Times, Australian Women’s Weekly, Earthgarden Magazine, Australian Wellbeing and Gardening Australia. Her garden rambles over about 4 hectares, and there is never a time when there aren't basketsful of many kinds of fruit to pick. Jackie French is also a wombat tamer in the Araluen Valley New South Wales, Australia. Sometimes she wrestles dinosaurs too, but only when creating stories. Some of her books have won awards or sold millions of copies. Others were eaten by the wombats. She has lost count of the books and sales, but not of the wombats. She was born and hasn't died yet. She went to three schools and a university, only one of which burnt down. (This was not her fault). Her favourite book is 'lots'. Her favourite food is 'lots' too, especially iced watermelon and mangoes. Her favourite colour is purple, except if it's cheese or grass or wombats. She writes everywhere and anytime, except it doesn't get written down when she is in the bath and no one can read the notes she makes on scraps of paper. The legible bits are written at her desk, but need someone to correct the spelling and typos. She keeps producing books because the ideas nibble at her till she does, and she is afraid they might start munching her toes if she doesn't get the next book written. Now. She buys her ideas 5 kg at a time from a small shop at the end of the mall that pretends to sell mobile phones. They have a sale every third Tuesday. Say Jackie sent you and they'll give you 10% discount. She will read your draft book as soon as she can slow down the planet so we have a 48 hour day and a ten day week. You need a good idea to create a book. You also need another 2 million good ideas. This is also called daydreaming. Creating needs practice, just like being a football player: the more you train, the better you are. The great thing about being a writer is that you can talk to any famous person in the past and ride an elephant at the same time. You only have to choose which famous person if you have a single ticket on a time machine. If you are a writer you can talk to anyone. The next great thing about being a writer is that you get paid to daydream. And you can do it in your pyjamas. For more information, see the link ‘Kids FAQ and Useful Stuff for Schoolwork’ on the menu at the left. The Autralian copyright Act 1968(the Act) allows 10% of the number of words on this web site to be reproduced and/or communicated by any educational institution for its educational purposes provided that the educational institution (or the body that administers it) has given a remuneration notice to Copyright AgencyLimited (CAL) under the Act.